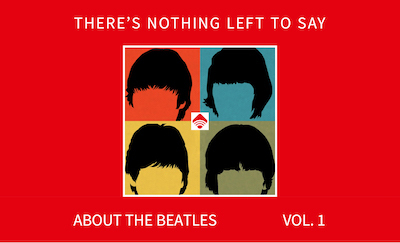 A Beatles picture book? You’ve got “A, B, See the Beatles!” Fab Four reading for pre-teens? You’ve got “Mom, Dad, Who Are The Beatles.” Let the indoctrination process begin! The band is endlessly fascinating, so here is some fab gear, as it were, to keep the Beatle geeks in your life happy. Hear intriguing covers of the Fab Four by Dolly, Waylon, Reba and more. The Beatles Vevo page is just as popular as you’d expect.